Four penguins stood in a neat row on the back of the truck. The first was dressed as a golfer, complete with a flat cap and golf club. The next was covered in rainbow coloured fish while another sported a highly-patterned Fair Isle jumper. 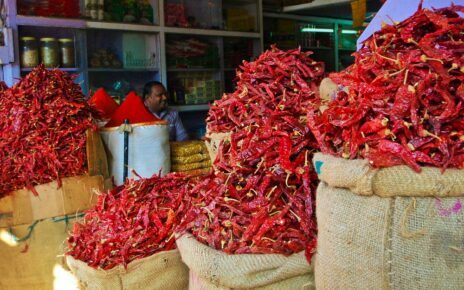 They were also around 5ft tall. Where were these giant penguins going and what on earth were they for? 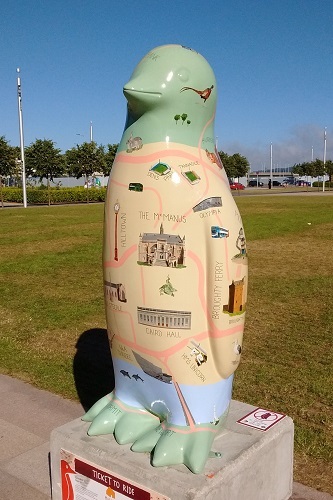 Over the next few days, penguins like these began appearing all over Dundee. 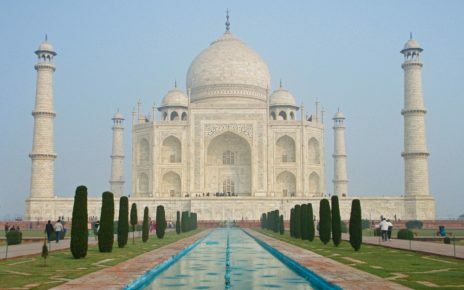 Every one we saw was surrounded by people snapping photos and posing for selfies. This was our first introduction to Maggie's Penguin Parade, Dundee's latest artistic charity event. What Is Maggie's Penguin Parade? 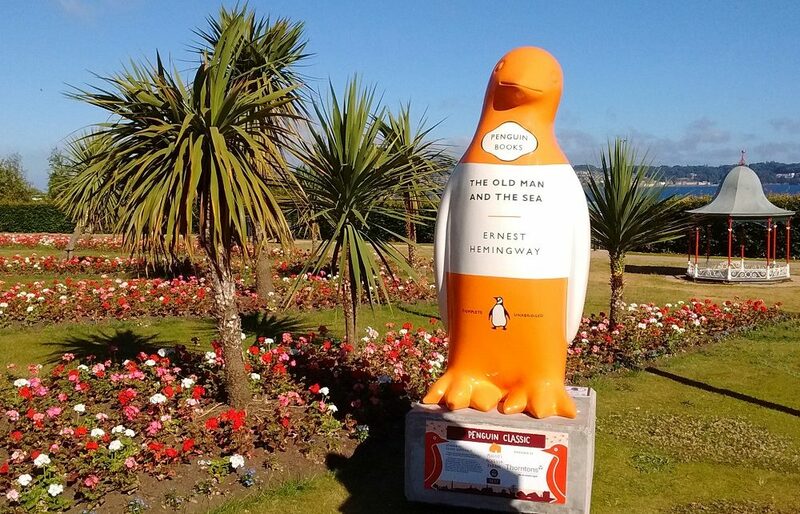 For summer 2018, huge decorated penguins have been scattered all over Dundee with a few in surrounding towns. 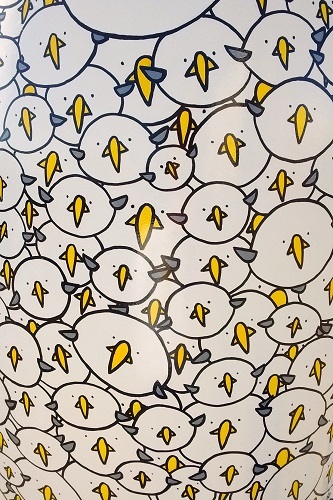 There are 80 penguins in total. 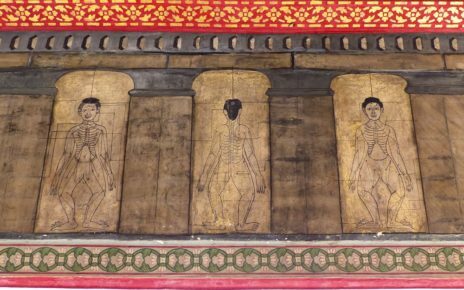 Many have been sponsored by local businesses or designed by local artists. The penguins will be around until the grand farewell event in late September. The next day they will be auctioned off at Dundee's new V&A museum. This will raise funds for Maggie's Dundee, a cancer support centre that relies mainly on voluntary donations. Dundee is probably most famous as being the home of RRS Discovery, the ship that took Captain Scott on his voyage to Antarctica. That Antarctic connection inspired the penguins. At first sight, Touchy Penguin just looked like a typical black and white penguin. Nothing special. We saw a girl place a hand on the penguin, not posing for a selfie but just touching the penguin. We then realised that this one changes colour. Place a warm hand on the penguin and leave a pink hand print behind. Suddenly the name Touchy Penguin made a lot more sense. 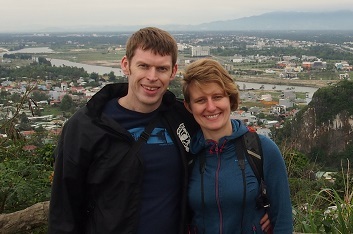 Sadly, with unnaturally cold hands, it didn't work so well for us but we did achieve a light brown splodge. 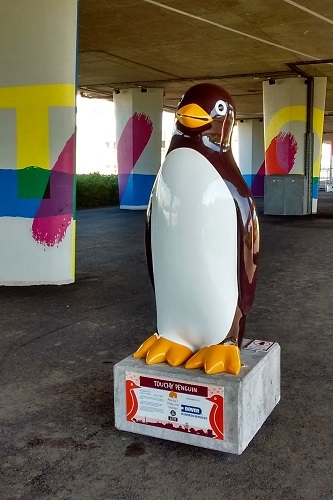 Touchy Penguin is in Dundee, just under the Tay Road Bridge. We found the bright orange and white Penguin Classic in a tiny garden next to a miniature bandstand. The penguin shares the garden with a team of lemmings, a tribute to Dundee's most famous computer game. The flowerbeds were stuffed full of geraniums in full bloom and on such a bright sunny day, the palm trees gave a it a very tropical feel. Visit this garden late in the day for a beautiful sunset view over the River Tay. Penguin Classic is on the Perth Road in Dundee, opposite Airlie Place. The penguins are most densely packed around the centre of Dundee. We found 4 penguins in Slessor Gardens, a small city centre park. This was a good place to get a taste of the Penguin Parade. 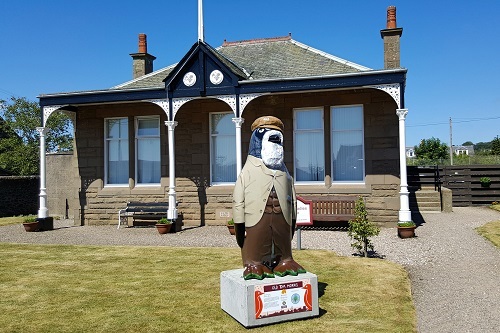 Surrounding towns like Perth and Broughty Ferry do have penguins but only in small numbers. Some penguins are appropriately themed for their location. Golfers may enjoy the golfing penguins near the famous links at Carnoustie and St. Andrews. Or have a look for Dundee's famous comic book characters near DC Thomson, the local publishing house. You can download a map of penguin locations from the Maggie's Penguin Parade website. We saw lots of cool penguins but missed Yoda Penguin and Penguinstein. Did you see them? What is your favourite penguin? Leave a comment and let us know.